Chartchums is back after a bit of a rest, and we are excited to once again be sharing classroom stories, charts, and ideas with you. Now, if you are like us (quick check: Have you already started lingering over school supplies at Target? Then, yes, you are like us. ), you probably never stopped thinking about teaching and are already imagining the myriad of possibilities for the upcoming year. This year will be a slightly different one for Chartchums. Our book comes out September 1 (click on the picture to purchase it), and we are already thinking about the next one. Kristi is heading back into the classroom to be a kindergarten teacher and Marjorie will continue to work in schools across the country and world as a seasoned staff developer at the Teachers College Reading and Writing Project. As we both prepare for the year ahead, we find ourselves talking constantly about plans and systems and routines for the upcoming year to keep ourselves (and the teachers and students we work with) successful. Routine is an essential component to any teacher’s classroom. Think about your own life and the routines that sustain and comfort you on a daily basis. For us, it is turning the coffee pot on BEFORE stepping into the shower so it is ready to greet us once we emerge. It is laying clothes out the night before to avoid the “I have nothing to wear” conundrum in the early morning hours, and finally it is finishing up emails before dinner, so we can truly be present with our partners and families for the rest of the evening. Be consistent: Once children learn a routine it becomes automatic and takes none of their mental power to execute it. Each time you change a routine, it requires learning and brain power from students. Choose one way to do things and stick with it, so children can attend to the important parts of your teaching. 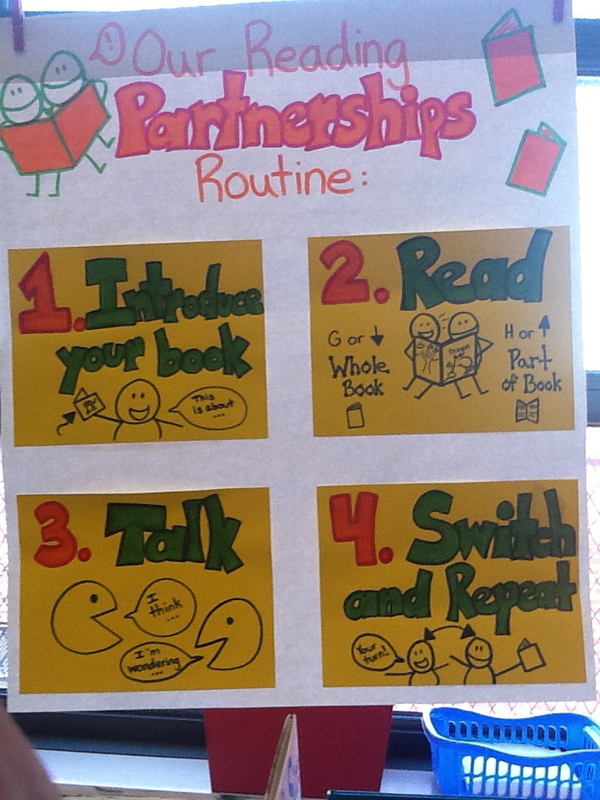 Have reasonable expectations: Seventeen-step routines might be a bit complicated for first grade. 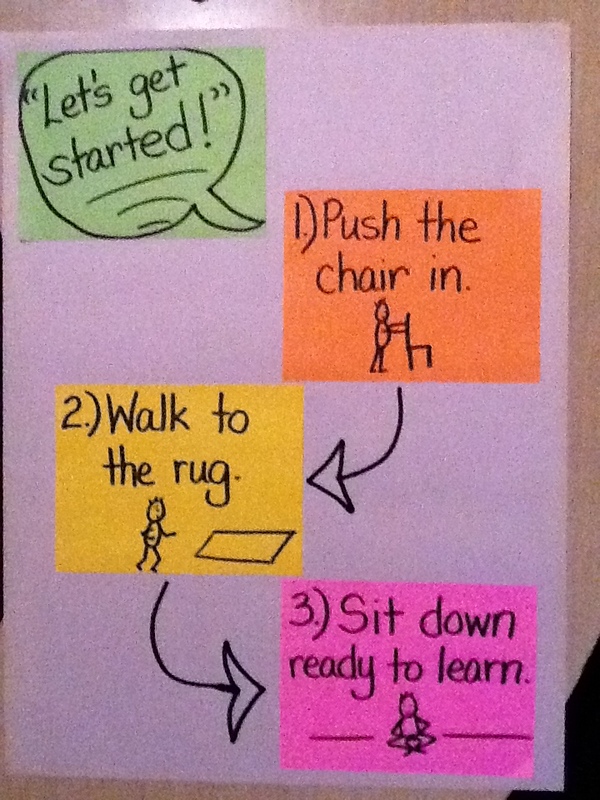 Create routines with 3-5 steps and children will be more successful in learning (and remembering) them. Teach the routine, don’t just tell it: Give children the opportunity to practice the routine again and again until it becomes automatic. As with all things, the learning is in the doing. Practice what you preach: If one routine involves walking quietly from one space to another, keep your own voice quiet as well. Students are learning far more about the rules of the classroom from what you do, than what you say. Put yourself out of a job, foster independence: Sometimes it feels like it will be faster and easier to do things yourself: hand out the paper, collect the markers, pass out the books, but part of what every teacher is teaching is how to be a citizen in the world. Children learn responsibility and active problem solving when they are given responsibility and chances to solve problems independently. This can be supported with the work you capture on charts. 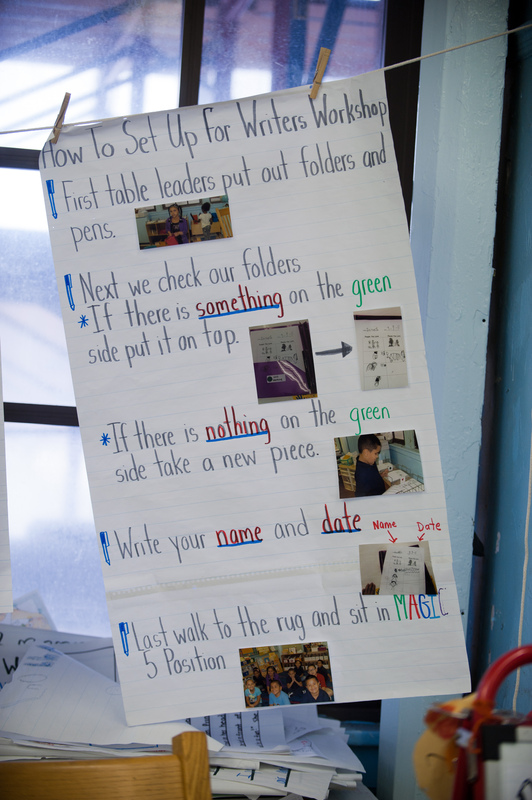 Routine charts are likely the most common chart teachers make in the first few weeks of school. There are a few basic principles that will help you tackle these charts in ways that will support student learning and develop independence. 1. Make them with the students. 2. Use student photographs to make them stick. 3. Write them in steps, like a how-to. 4. Reread them daily as a part of shared reading. With all things charted, once the majority of students know the routine – retire the chart. You will certainly need that space for charting the next bits of your powerful teaching. Chartchums is available to do work in your school to support you and your colleagues in creating powerful charts, independent students, and memorable teaching. Contact us directly at: chartchums@gmail.com or through the Heinemann website. 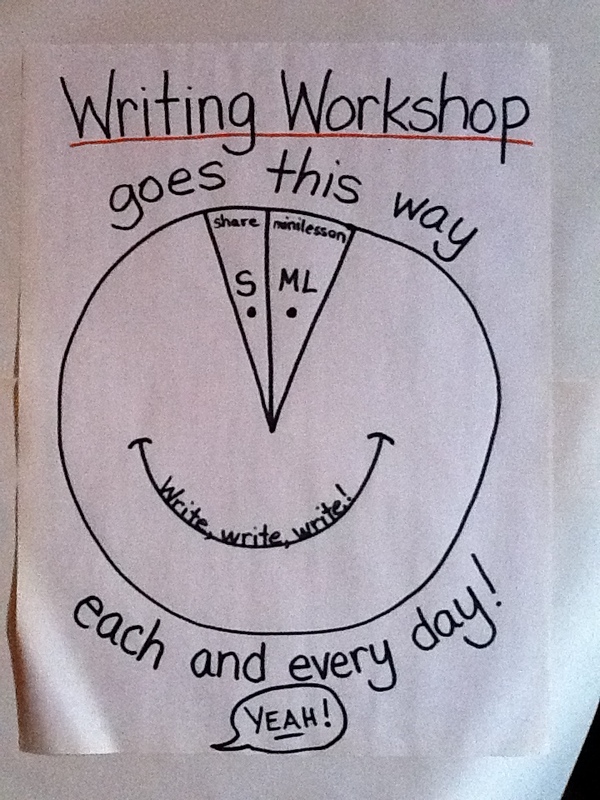 This chart is a graphic depiction of how the writing workshop time (or any workshop time) is proportioned. This chart shows the steps for getting from one place to another. 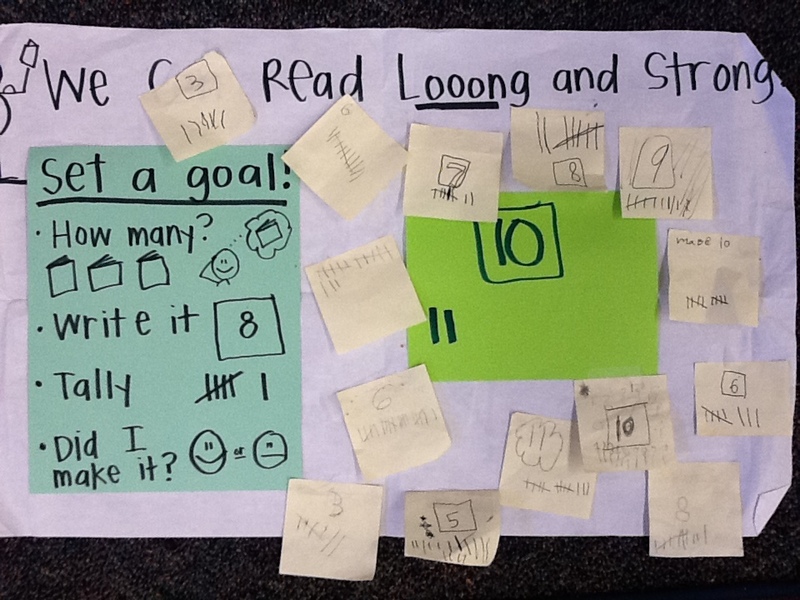 Create charts that get kids helping themselves right from the start! No matter what grade you teach this year, whether you looped or will get a whole new class, it is a good time to think about what charts to create that will introduce, review, and reinforce the routines and rituals that will make for the best year ever. What makes for the best year ever? When children can run the classroom without you even being there! In fact, plan now for the times you will not be there to control every movement and moment during a day. Think about what your students will need to know and be able to do in order to be productive, positive, and proud at the end of each and every day. And think about possible charts that might make this very clear to students and “guest teachers” alike. There are several categories that Kristi and I consider when creating charts in classrooms. 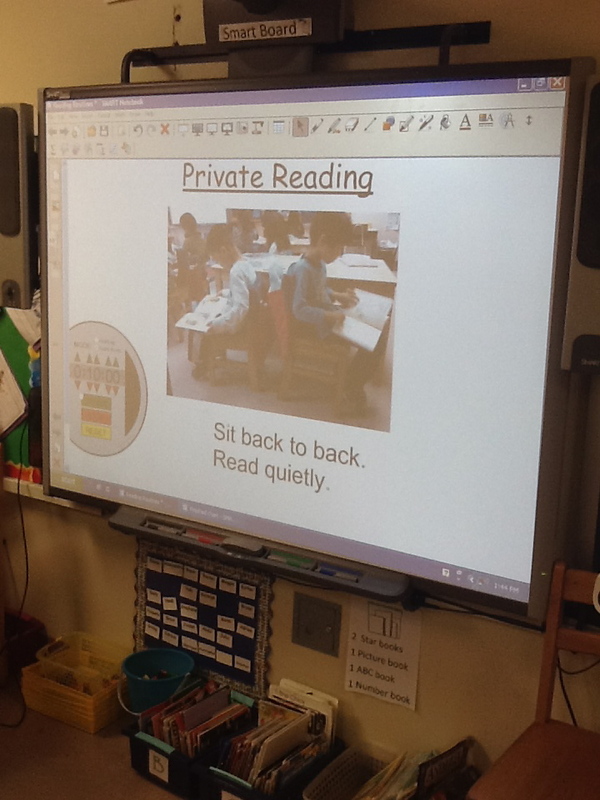 We think about procedures & process, strategies or repertoire, exemplars and examples, and genre-based charts. For this post we will focus on procedures & process charts. Procedures are basically step-by-step how-to’s that teach you (or remind you) how to do something by breaking down each step into a manageable chunk. Typical procedures we want to remind children of at the start of the school year are those that often concern management: getting from place to another quickly and quietly, how to set up and put things away (also quickly, if not as quietly), and how to keep going when done. Process refers to what one can expect each step along the way towards reaching a goal. The writing process is an easy example of this type in that it lets children know that there are several steps they will be taking to create a complete piece of writing. In mathematics there is a process one goes through to solve, for example, a word problem. Sometimes the most obvious routine to us is not so obvious to young children. I will never forget the time I asked my new first graders to come to the rug for a minilesson. I was thrilled at their quick response, until I saw them running to the rug and just hovering around chattering like a flock of wild birds. I thought my words had been very clear. By the children’s response my words were anything but clear. I had to think on the spot, so created a chart like the one pictured, which broke down the steps into a simple, three step, how-to. That night I became a little more creative and thought about metaphors like “Launching our Workshop Time” and adding a reverse countdown to the steps, 3, 2, 1, Blastoff! In both cases the steps were broken down into the least amount possible and illustrated in some way. Many teachers photograph their children caught in the actual act of doing what is hoped for. Kids love being the star of the show, or the chart in this case. A process chart is another chart needed early on, especially for those teaching in a workshop manner. “I’m done!” is a typical response during the first weeks of school whether children are writing, reading, or doing mathematics or science. Making clear the steps of the “process” can help diminish such outbursts as these. For example, a child has finished reading several books. They sit there for a moment, then begin interacting with others, either by talking about what is for lunch or what they plan to do after school. In either scenario they stop reading and don’t seem prepared to read any further. Teaching children what options they have when finished with the apparent task at hand can alleviate this distracting behavior and allow both teacher and students to accomplish so much more. What do you do when you think you are done is a predictable question that will arise each and every year. Planning for possible suggestions and steps that will help each child become more independent is an invaluable aid in making the entire year go smoothly. Putting these suggestions and tips on a public chart will help remind children how they can help themselves when they come across dilemmas such as these and many more. Charts can help every child in your class to believe that they can help themselves solve any problem or answer any question they may have, not just today, but in life.